Marysville, 95km from Melbourne, and only 1 hour's drive from the eastern suburbs, is a long established timber town with tourist attrractions that have been enjoyed for years. 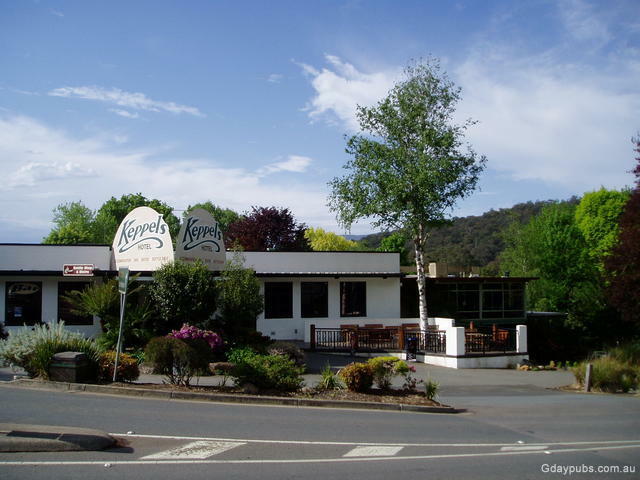 Well known for its falls: Keppel's Falls and Steavenson Falls, it is surrounded by picturesque hills on one side, and Lake Mountain on the other, a popular snow skiing playground in winter. The real beauty of the town, lies in its gardens, with colorful displays of many English styled shrubs an trees put proudly on display during the Wirreander Festival held in the first week of November each year. The local golf course is always well kept and green, and is bounded by the junction of the Taggerty and Stevenson's Rivers nearby, which fall from the adjacent hills. Many great walks and drives can be enjoyed in the area, to places like Keppel Falls Lookout or the lookout overlooking the town nearby to Stevenson's Falls. 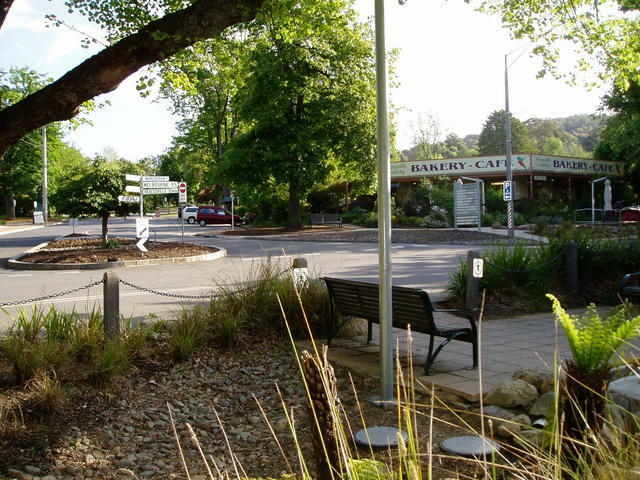 Marysville is a bustling tourist town on long weekends and both summer and winter holidays, given its proximity to Lake Mountain. 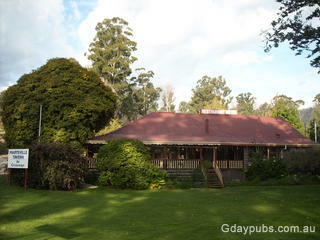 Yet, it also offers a peaceful escape from city life for those wishing to indulge in a mid-week break from Melbourne. Tip: Gaz recommends Marysville be included as a special stop when travelling The Black Spur Pub Trail.